Rajasthan BSTC Counselling 2019: The University of Kota has announced the commencement of Raj BSTC Counselling 2019 from 15th June for providing admission into the Diploma in Elementary Education course. Candidates who have qualified BSTC Exam 2019 can now get here details of BSTC Counselling Dates along with information of complete counseling session. The Board will conduct the BSTC Counselling Process in three rounds and therefore applicants can check here BSTC Counselling 1st List along with information of second and third list as well. In regards to more information of BSTC Seat Allotment, application form etc, go through the article and get complete details. Every year the University of Kota conducts Basic School Teacher Course Counselling session to provide admission for DE.I.ED courses. Candidates who have successfully qualified BSTC Cut off must now proceed for MDSU BSTC Counselling 2019. Therefore candidates whose name appears in BSTC Merit List must fill BSTC Counselling Form to attend the Counselling. The counselling session includes a number of subsequent steps such as registration, payment of fee, declaration of list etc. 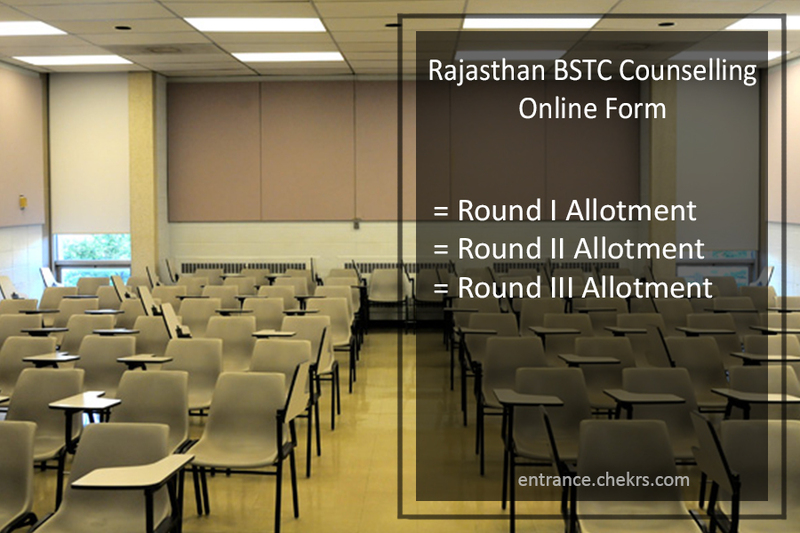 Candidates appearing for Rajasthan BSTC Counselling must keep track of BSTC Counselling Schedule as discussed below. Applicants attending for counselling must go through the below-mentioned process at the time of counselling. Candidates must log into the official portal www.bstc2019.org. After verification of documents, candidates will be issued a BSTC Allotment Letter which includes details of seat allotment. Applicants must further report to the allotted institute and make payment of the remaining fee to confirm their seats. After the Declaration of Merit List, the BSTC Online Counselling will be started. The board will release the BSTC Counselling First List on 29th June 2019. After the declaration of the first list, the board will release the BSTC Counselling 2nd List in the month of July and candidates will be allotted their seat as per merit. However, if 2% or more seats remain empty after the second round then the authority will declare BSTC Counseling 3rd List through which candidates will be provided the last opportunity to take admission. After the declaration of BSTC Result 2019, all the successful candidates who qualify the exam must attend the counselling process. Therefore eligible aspirants will be allotted their respective seats and the authority will declare BSTC College Allotment List 2019, through which candidates will be provided their seat on the basis of choice, availability and as per requirement.